The Houston Rockets have signed another contributor to the team, and it is someone that people are not too fond of in Houston. Austin Rivers has been a somewhat forgotten player for the Washington Wizards this season. The Wizards are a dysfunctional franchise right now. There is drama going on between John Wall and Bradley Beal, and Dwight Howard doesn’t help the cause of bringing peace to the locker room. They have just traded for Trevor Ariza to hopefully fix all the dysfunction going on with the franchise. But notice that Austin Rivers is not the problem in this situation. He is just a bystander in the bigger picture. For those that did not know, the Wizards traded for Trevor Ariza and sent Kelly Oubre and Austin Rivers to the Suns. Not long after the trade, the Suns immediately bought out Austin Rivers and made him a free agent. There was speculation that he may end up with Grizzlies, according to Shams Charania (in a now-deleted Tweet). But ultimately, he decided to join the Houston Rockets. The timing could not have been better, as the Rockets have lost Chris Paul to yet another hamstring injury. Luckily, it isn’t the Western Conference Finals (Sorry to bring up bad memories). But let’s try to find a positive with Austin Rivers. He is an immediate upgrade to the Rockets’ bench. With Chris Paul sidelined at least another 2-3 weeks, if not more, the Rockets need as many ball handlers/scorers as they can possibly have. This will relieve some of the tension from James Harden and hopefully not put as much wear and tear on him during the regular season. The Rockets need to find a way to conserve James as much as they can this season, and Austin Rivers can help the cause. He is an immediate upgrade from what Brandon Knight can offer this season. Austin Rivers is already one of the better playmakers on the Rockets. With Chris Paul out for the next 2-3 weeks, if you had to guess who the Rockets’ second-best playmaker was after Harden, who would you guess? (Go on, I’ll wait...) You might say Eric Gordon. The crazy thing is, Austin Rivers is averaging the same number of assists as Gordon. Gordon is a shooter and a scorer. There is nothing wrong with that; it’s why he got the contract he got. But with Chris Paul gone, you can’t run the MVP into the ground trying to create offense. Austin Rivers fits what the Rockets run. Watch Austin Rivers’s highlights from his best season for the Los Angeles Clippers. The Rockets’ offense is all about three pointers, free throws, and lay-ups. You don’t see a lot of mid-range shots in those clips. All in all, is Austin Rivers the signing that is going to fix the Rockets season? Probably not. But let’s take this at face value. Austin Rivers is 26 years old and is a productive NBA player. He has a skillset that lets him create his own offense, and he has a pretty decent shot. I really like this signing and can’t wait to see him (hopefully) on Christmas day against Russell Westbrook’s Thunder! Another year is coming to a close, with lots of excitement as we head into the big holiday. The movie scene was electric this year, with huge movies and gigantic box office numbers. I am going to list out some of my favorite movies from this year. Black Panther showed the world the possibility of diversity in a superhero movie, and how not all heroes look the same. It also presented us with a great villain: Michael B. Jordan’s portrayal of Killmonger will go down in the archives of superhero movie history next to Heath Ledger’s Joker. Welcome back, Incredibles! After a 14-year hiatus, the superhero family we love came back with a vengeance. 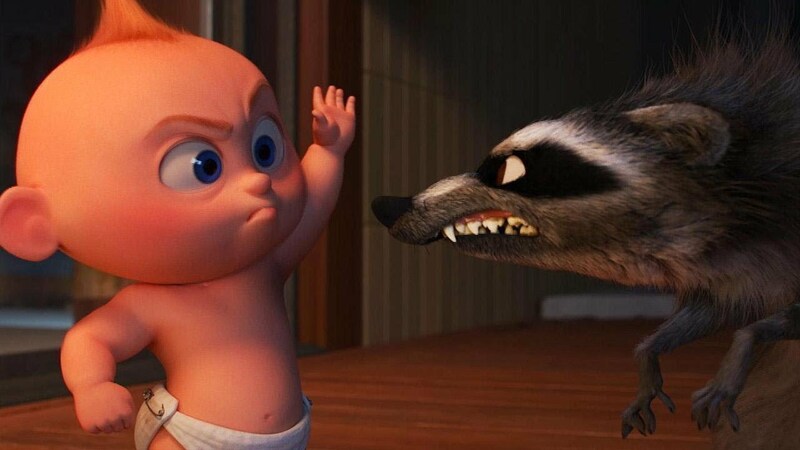 This movie had something for everyone, but for me, the highlight was Jack-Jack vs. the Raccoon. 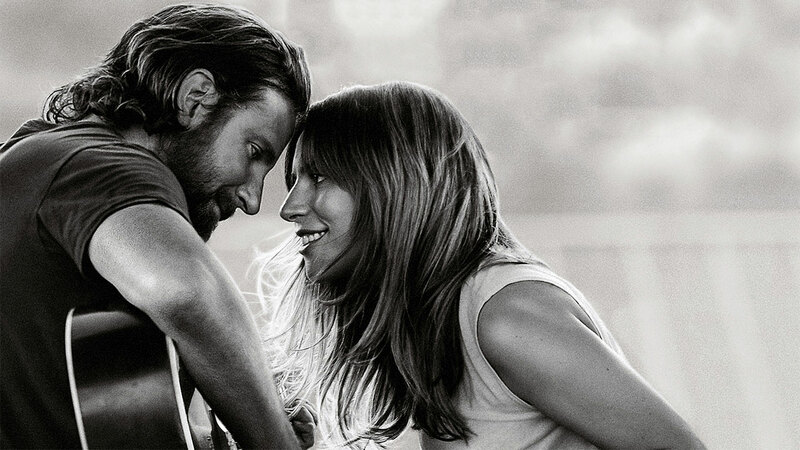 The amount of pressure on this remake was immeasurable; however, Bradley Cooper delivered one of the best moves of the year as a director and actor. And the movie vaulted Lady Gaga into another stratosphere. Surprise hit of the year. Another movie showing us that we don’t need all the movies to look the same with the same actors. The all-Asian and Asian-American cast proved to be a huge box office success. And for my wife and I, it was the best date night movie of the year. The Rocky Saga continues. 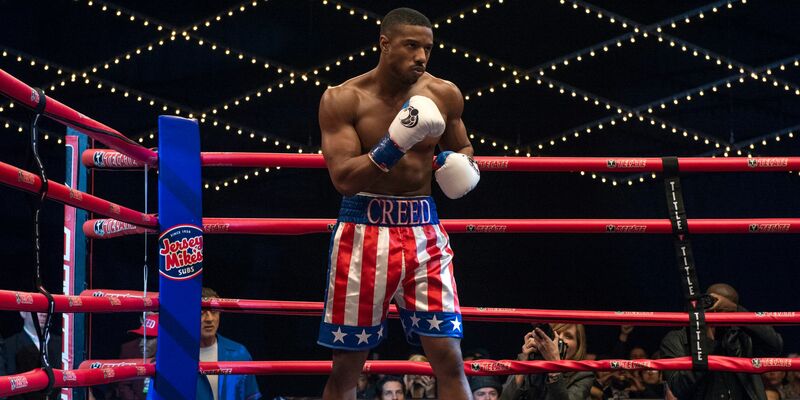 Capping off his incredible year, Michael B. Jordan returned to his Adonis Creed role and delivered a knockout. Pardon the cheese, but in all seriousness, this was a great sequel to the 2015 hit. Here is my full review. 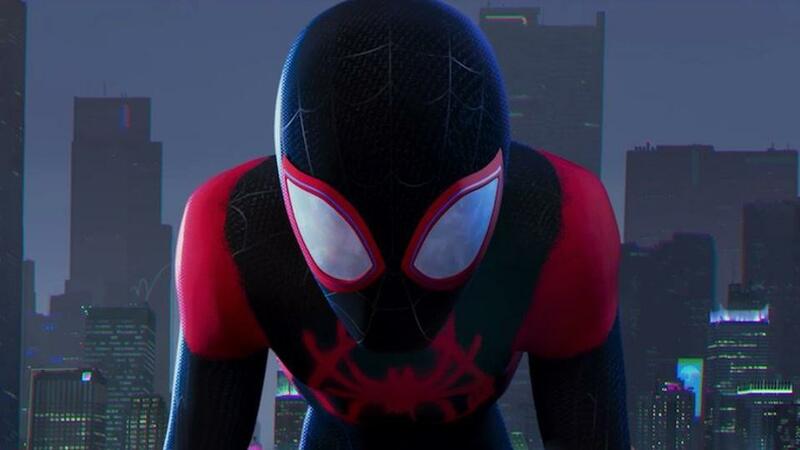 Still fresh in my head, Spider-Man might be the best movie I saw all year. My full review was delivered early this week. As a child of the 70s and 80s, few people (if any) have had a bigger impact on my television life than Mister Rogers. He was there for us every morning, comforting us, teaching us, and helping us with his wonderful characters and soothing voice. This documentary is a must-see if you are in my age range; it reminds us how things were and how they could be again if people cared the way Fred Rogers cared. A sleeper movie to make my list. It was still fresh in my head when I stumbled on a copy of it a few weeks ago. Here is my full write-up on this must-see independent movie. 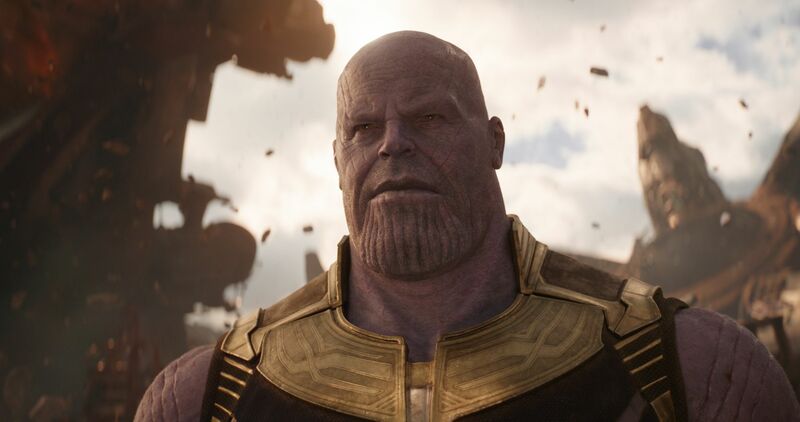 In just one snap, our Marvel Cinematic Universe was spent spiraling. Infinity War brought all the people to the movies. And as we left, we all had the same response: what happens now? See you in March when we start to get some answers with Captain Marvel. Thanks, Fred, for being a hero. Astros Back Into the J.T. Realmuto Picture After Signing Brantley? If you are an Astros fan, you should be beaming with joy after Jeff Luhnow signed outfielder Michael Brantley. This was a move that Luhnow and the Astros were practicing patience. After the Andrew McCutchen deal, it set the market to sign an outfielder like Brantley. Instead of jumping the gun, Luhnow waited patiently for Brantley to settle for two-years. Now Kyle Tucker loses his starting gig in left field for now unless the Astros plan on trading Josh Reddick. After signing a $52 million 4-year deal with the Astros back in 2017, he is still owed $26 million for the next two years. His offense took a step back in 2018, but he is still the starting right fielder. The team could look to trade him. Brantley can play some first base, but he will only get spot starts over there. This leaves no place for Tucker to play for the next two seasons when all the current starters will become free agents. Where does Tucker play? He could become the 4th or 5th outfielder, but where does Tony Kemp or Jake Marisnick fit? Plus, do you want your young star coming off the bench his first full season? After saying for a while that they would not trade Kyle Tucker, could they have changed their mind? While they have all the faith in the world in Tucker, saying he could still compete for an outfield spot in 2019 if they signed a veteran player. Technically, he could beat out Reddick for the starting gig, but that would be a lot to pay for a fourth outfielder. However, you want to put your best bats out there. The depth in the outfield is now massive. Technically, someone can split time with Tyler White in the DH spot. That would change if they did sign Nelson Cruz as well. They still have a hole in the rotation and possibly like to add a starting catcher to the mix. Someone who makes sense is Marlins catcher, J.T. Realmuto. He had made sense for a few years now, but there has been a sticking point. The daily Realmuto : Can confirm Astros did make contact w Marlins. Can’t go much beyond that unfortunately. @JoeFrisaro noted this earlier. Wish I had something juicy that could get a denial from someone but not today unfortunately. % updated. The sticking point has been the Marlins desire to get Tucker. As I said on Talking Stros, Realmuto would be an Astro if they would have given up Tucker. Bringing in a hometown-ish type player who could be a superstar would reinvigorate baseball in Miami. Should the Astros sign another bat soon, such as Cruz or the long shot of Bryce Harper, then Tucker becomes available. It does not make sense to trade seven years of Tucker for two years of Realmuto, but he is a special player. He is an excellent catcher ho can hit for power and average. The Astros could also ask for the 72-hour negotiation window to work out an extension. Extending Realmuto would offset the loss of Tucker. It would take more than just Tucker to get the deal done, but not any other top 10 prospects. The Marlins have been asking for the sky. Luhnow has been patient so far, but soon we may see how much he wants to add Realmuto. Joe Frisaro just reported that the Astros were still in on Realmuto. Craig Mish gives them a 5% chance of trading for Realmuto. The main reason to not trade Tucker is that all of the starting outfielders would be free agents after 2020. Maybe they can work around trading Tucker. Maybe a deal doesn’t get done at all, and the Astros use Robinson Chirinos and Max Stassi. By signing Chirinos, the Marlins can't hold the desperation card over the Astros head. Bregman seemed excited about some big news coming soon. Could it be a Realmuto trade? Could it be them signing Bryce Harper? Maybe they are finally going to get a new starting pitcher. Maybe Bregman wasn’t talking about a new player at all. There are still a few moves out there to be made. Another week of WWE programming has passed, and there are quite a few stand out performers. Let’s dig into the ones that just missed the cut. Dolph Ziggler: He hasn’t really had much to do, and with Drew McIntyre having a huge part in the GM storyline, he just fell to the wayside. This week, he came out to confront McIntyre and even gave Drew his first singles loss (with the assist from Balor). If he would’ve won without help, Ziggler would’ve cracked the list. Matt Riddle: NXT’s newest sensation is the last of the honorable mentions this week. He took on the debuting Punishment Martinez and beat him in a competitive match. Riddle is taking the WWE universe by storm, and his upcoming feud with Kassius Ohno is sure to be hard-hitting, so expect to see Riddle be on this list in the coming weeks. #5. Sonya Deville: A pinfall on Charlotte Flair will get you a spot on this list majority of the time. Yes, it came off a kick from Asuka, but a victory over Charlotte shows how much confidence the company has in you. Her and Mandy Rose got the win, so it’ll be interesting where they will go from here. #4. Finn Balor: The leader of Balor Club gets the four spot on this list for his role in upstaging Corbin and his crew this Monday night. With McIntyre going after Balor leading up to TLC, will Balor continue to get one up on the group of heels? 3#. Dean Ambrose: The Lunatic Fringe comes in at number three for the promo he put out. I’m still not 100% sold on the germaphobe gimmick, but so far it has worked. The gas mask and the idea of Rollins needing to pay for his sins have me intrigued. At this moment, I’m not entirely sure who will be walking out of TLC with the Intercontinental Championship. #2. Aleister Black: Coming in at number 2 is the former NXT champion, Aleister Black. He came out to confront current NXT champion Tommaso Ciampa and challenge him. The segment ended with a future cage match between Aleister and Johnny Gargano. To put an exclamation on the promo, Black hit Ciampa with a Black Mass, knocking him out. Black is on a mission, and he is not going to let anyone stand in his way. #1. Daniel Bryan: The brand new WWE champion gets the number 1 spot. His mic skills and the brutal beat down on AJ Styles after his match with The Miz has Daniel Bryan starting his reign on a great note. He made it 100% clear of his reasons, and he came off great as the douchebag vegan. If he continues like this, it’ll be hard to dethrone him from the top spot. There is my top 5 for the week of 12/3-12/9. Check back next week to see who makes the cut and who fell out the top spots. This weekend is packed with great fights, and up first is One Championship: Heart of the Lion. That’s not to be confused with Heart of a Lion, which is too random. Again, it is Heart of the Lion. Which lion? I don’t know, but apparently one that is somehow related to MMA; stick with me here. Although One Championship is not very well known here in the United States, they are the marquee organization in Asia, and they have made some big splashes recently by signing former UFC and Bellator Lightweight Champion Eddie Alvarez and trading for former UFC Flyweight Champion Demetrius Johnson. This Friday’s card is littered with good matchups and technically skilled fighters. If you enjoy the UFC, you will enjoy One Championship. Did I mention the fights are free to watch on One Championship’s mobile app? Both of these men have been fighting for One Championship since 2012 and fought against each other in January of 2016. 38-year-old Fernandes is the company’s longest-reigning champion and is on a 14-fight winning streak. He defeated Belingon in January of 2016 and has fought only three times since that bout. Belingon, on the other hand, has six fights and six wins in that timeframe, including the bout in which he won the Interim Bantamweight Championship in July against two-division champ Martin Nguyen. Belingon is a powerful and creative striker. He is ridiculously fast and throws everything with bad intentions. Belingon will use his speed, power and striking prowess to try to keep the fight standing. Fernandes is a well-rounded mixed martial artist with his base coming in the form of a Brazilian jiu-jitsu black belt. He has a high fight IQ and will use his strengths to win a fight. In the previous fight with Belingon, Fernandes took the fight to the ground early and used his grappling skills to secure a kimura for the submission victory. Two of Fernandes’ three losses have come to arguably the best fighters in the history of the bantamweight division: Urijah Faber and the late Norifumi “Kid” Yamamoto. Belingon’s best win was his last against Nguyen, and he’s lost to other submission specialists. Belingon does not have a great ground game, but in the four minutes and four seconds of the first fight, he was able to inflict some damage on Fernandes. I anticipate more of the same from these two and have Fernandes winning by submission in the second round. The original co-main event card was a champion vs champion between atomweight champion Angela Lee and strawweight champion Xiong Jing Nan for the 125 lbs. title. This bout was cancelled due to a back injury to challenger Angela Lee. This cancellation leaves no other clear high-profile fight on the main card; however, if you look a little lower on the card, there is a very interesting fight at the top of the preliminary card that will stream on Facebook and Twitter. I’m talking about world class Brazilian jiu-jitsu champion Garry Tonon against Sung Jong Lee. Lee is coming off of a TKO loss to Amir Kahn (not the boxer) in May. Tonon is coming off of his first submission in MMA against Rahul Raju in July. This is a clear showcase fight where the promotor is trying to build up Tonon against lower tier fighters and get as many eyes as possible to watch. Tonon has been exciting to watch on the grappling scene, and I’ve been interested to see how his skillset would translate to MMA. Sung Jong Lee has four fights to his name, winning two and losing two. In his last fight, he tried to take his opponent to the ground every time he took damage on his feet. He went for different leg locks, and this left him open to strikes which led to the eventual TKO. If he uses the same game plan against Tonon, he will get submitted. This fight should allow more experience minutes in the cage for Tonon, but he should get out of this fight with a W. I’m picking Tonon by submission in round one. This isn’t an MMA fight, as One Championship likes to insert one-discipline bouts into their MMA cards. This is a kickboxing fight between an established and dominant veteran and a streaking newcomer. Petrosyan recently won the inaugural Bellator Kickboxing Lightweight Championship, and Sorgraw recently beat a very tough opponent in Samy Sana at One Championship: Spirit of a Warrior back in June. This fight will gauge whether Sorgraw will continue his climb in the kickboxing ranks, or if he needs more experience to truly compete at the highest level. I’m picking Petrosyan, even though he will have to deal with the rabid home crowd for Sorgraw. Petrosyan by decision. There are several other interesting matchups on the card with fighters trying to make a name for themselves. The actual co-main event features two fighters coming off of losses and needing to get on the right side of the ledger, Christian Lee and Kazuki Tokudome. There is also a women’s bout in the strawweight division between Tiffany Teo and Michelle Nicolini. There are also two other Super Series matches on the card in the sport of Muay Thai. This fight card has something for everyone: MMA, kickboxing, Muay Thai, and women’s fights. I’ll be taking these fights in with some strong coffee and an eye towards Saturday’s UFC Fight Night 139: Korean Zombie vs Rodriguez.